Eugene, Oregon knows the power of public spaces to knit a community together. Through a “Places for People” campaign, Eugene has sought to create a series of welcoming downtown destinations for its residents and visitors. And now, Eugene is charting a new path for community outreach, using its downtown areas as places to address housing challenges, head-on. 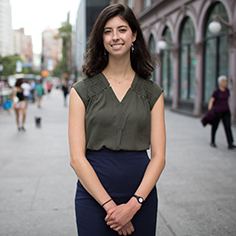 In cities like Eugene, Oregon, groups of young people increasingly seek shelter in public spaces and downtown areas — often in numbers that leave communities wondering how to help. Some cities like Eugene, Oregon are taking the lead on new approaches to community outreach, getting a closer look at the housing challenges facing many of its residents. Perhaps the most innovative part of Eugene’s approach is that it harnesses the energy of its young people and its public spaces to look for ways to support its residents. Through its Youth Mentor Program and Downtown Youth Initiative, Eugene has crafted an inclusive response to its housing challenges, tapping into the talents of young people to build a sense of community among neighbors. In recent years, Eugene’s bus depot and public library have become hubs for unhoused and at-risk youth. Neighbors became concerned about the well-being of those inhabiting the areas, and as is often the case, raised concerns about loitering and criminal activity. City staff members began to think of solutions to build trust and reach out to people experiencing homelessness. Instead of typical, heavy-handed approaches, Eugene created programs that engaged community members in important conversations, listening to the everyday challenges facing many of its residents, all while fostering a sense of public space stewardship in its local youth. The first day on the job for Youth Mentor Program participants, which included a ladybug release on the Park Blocks. To start, Eugene’s Office of the City Manager created a multi-disciplinary leadership team, comprised of municipal employees like Peter Chavannes of Recreation, Kristen Thorpe from the Downtown Library, Mindy Linder of Cultural Services, Sgt. Julie Smith of Public Safety, and Terry Cook of Downtown Facilities Maintenance. The leadership team came together with the aim of assessing the needs of Eugene’s unhoused, while avoiding the types of displacement that often come as a knee-jerk reaction in many cities facing the same challenges. In addition to Eugene’s other pilot projects like free day storage services, the leadership team started two pioneering initiatives to conduct deeper community engagement: the Youth Mentor Program and the Downtown Youth Initiative. 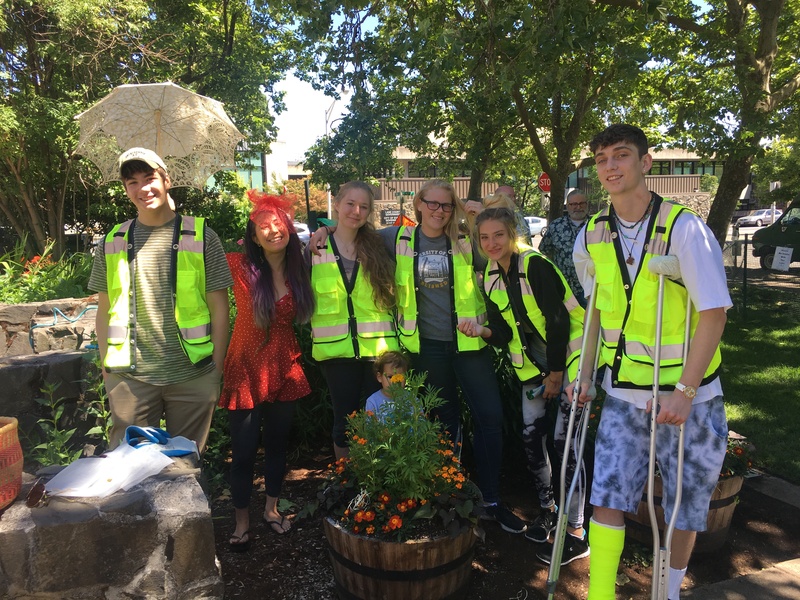 Through the Youth Mentor Program, the City of Eugene temporarily hired unhoused and at-risk youth to staff community events and care for downtown public spaces. After an inclusive hiring process collaboratively led by the Cultural Service and Facilities departments, apprentices were paid to go to job skills workshops, and to rejuvenate the parks and streets of Downtown Eugene. Apprentices supported ongoing programming, like Fridays at the Park Blocks, and beautified under-activated spaces like parking lots. This work sparked a sense of stewardship in the young employees, as evidenced by the good-natured lecture given by an off-duty apprentice to someone sitting in a planter she had installed. And the program is designed for the long haul — leading to on-going employment with the City for many of the apprentices. By creating such opportunities for Eugene’s at-risk young people, the Youth Mentor Program went beyond creating jobs and improvements to local parks; it created a new generation of public space stewards. 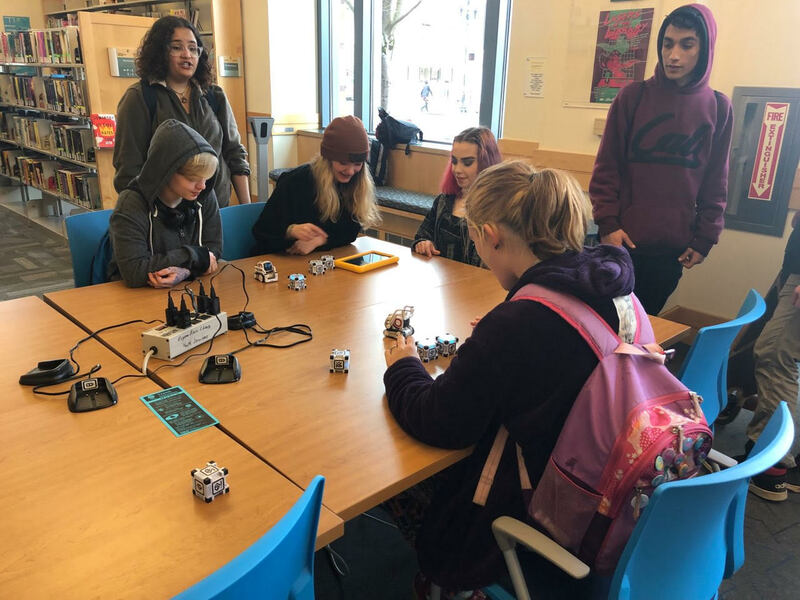 Simultaneously, Eugene’s Downtown Youth Initiative began a collaboration between Recreation Services and the Downtown Public Library. Centrally located and near the Downtown bus station, the Eugene Public Library is a natural gathering place, primed for the Downtown Youth Initiative’s “street team” of young Eugene residents to reach out to unhoused and at-risk neighbors. The street team conducted an informal assessment of the needs of people experiencing homelessness in Eugene, finding that they often came to the downtown area in pursuit of culture and community trust. Overwhelmingly, the street team found the young people to be very open about their need for jobs, money, housing, and food. This type of one-on-one outreach marked the beginning of the trust-building process between residents and city officials. Through both the Youth Mentor Program and the Downtown Youth Initiative, Eugene demonstrated keen awareness of the power of using public spaces and youth-led outreach to understand the needs of some of its most vulnerable residents. Eugene’s public spaces have been crucial in beginning to address the challenges facing unhoused and at-risk residents — both the outdoor spaces around Downtown Eugene, and the library. 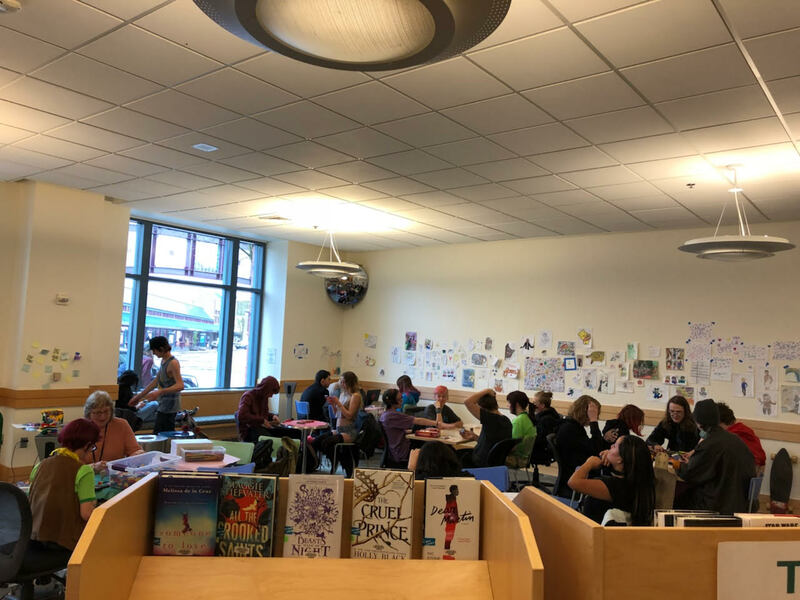 Since the programs began, Eugene Public Library’s has expanded its space set aside for teenagers, tripling it in size and adding dedicated staff in charge of providing teen services. Librarians like Kristen Thorp, Heather Sears, and Angela Ocana have made the brand-new space accessible and user-friendly, lifting certain restrictions on activities like eating and drinking, and sustaining the momentum of steadily-growing arts activities and programming. Over time, the space and its programming have grown in popularity, creating an engaging “third place” for Eugene’s young people. Public spaces belong to everyone, regardless of housing status. In an age of hostile architecture, when parks and benches are explicitly designed to make public amenities less appealing to unhoused people, it is truly remarkable for a city to use its public spaces to start a constructive dialogue around housing. Eugene’s innovative outreach programs have set a new standard for community engagement, and for understanding the urban housing crisis through youth-led relationship-building. Following the lead of some of its youngest public space stewards, Eugene has shown what a city can accomplish by listening to its most vulnerable residents.